WASHINGTON, D.C., USA — Many people around the world tuned in to watch Meghan Markle, a mixed-race American born actress, marry Prince Harry and become the only woman of color to join the royal family, or so we thought. As it turns out, there was another member of the family with African heritage and she ruled England for 57 years in the 18th century. 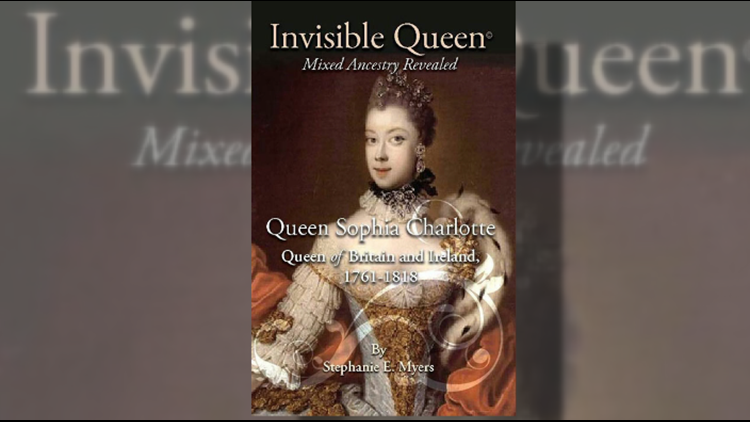 Queen Sophia Charlotte is the center of royal family biographer Stephanie Myers' new book The Invisible Queen: Mixed Ancestry Revealed which unearths the incredible story and contributions Queen Charlotte has had on both British and African culture. Myers explains in an interview on Great Day Washington that one of Queen Charlotte's major contributions was her involvement in the abolitionist movement, "she was against slavery, she made that very clear. She was an abolitionist." Amazingly, Queen Charlotte is the only Queen to have ruled over America before the colonies fought and gained independence from Britain in 1776. So, why don't we know about her? It's unclear why we are not taught about Queen Charlotte or her Moorish and African heritage in school but, Myers says that she "was very popular [in her day]. She received people like Thomas Jefferson, John and Abigail Adams. She was a star in the world." Another of her major accomplishments is discovering Mozart at age eight and mentoring him to become the prolific and world renowned composer that he is known as today. Myers believes telling Queen Charlotte's story for the first time will help inspire all people to pursue their dreams, regardless of their race or gender.